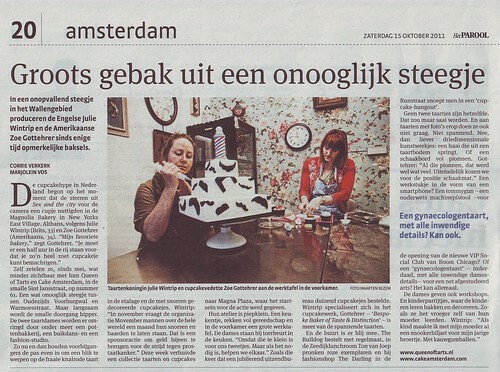 Het Parool - PRESS - 15/10/11, a photo by CAKE Amsterdam - Cakes by ZOBOT on Flickr. Article about CAKE Amsterdam & Queen of Tarts in Het Parool! Check it out! Click on the photo to be redirected to flickr page with translated text!